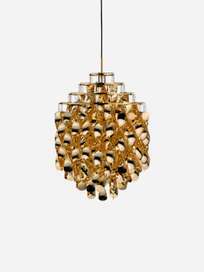 Pendant designed by Verner Panton for Verpan in 1969. 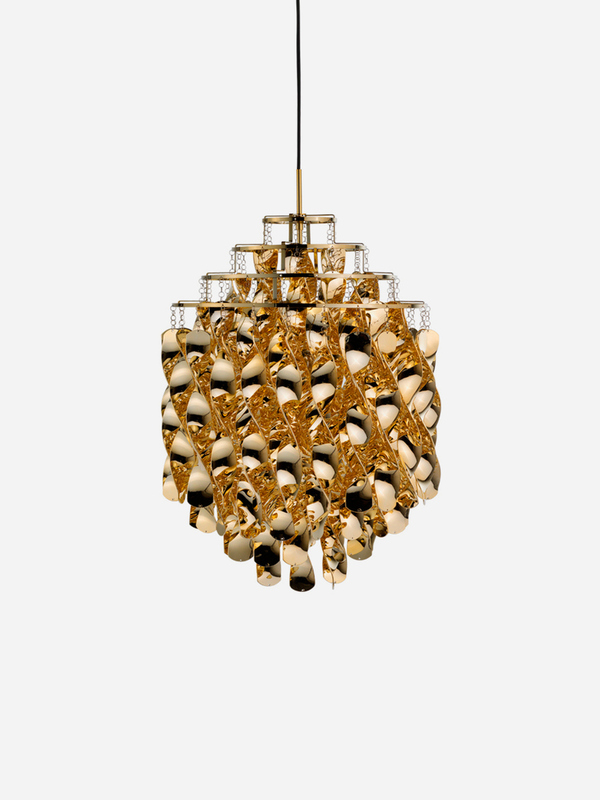 The lamp is made from cellidor silver spirals formed in a cluster, causing the light to spread evenly. The lamp is part of the Spiral Series, available in in Silver Gold and Red.